The Pet Vet is an outstanding veterinary group based in South Yorkshire. They dedicated to providing the best possible veterinary care for your pet, at great value prices. With state of the art surgeries in Barnsley, Doncaster and Rotherham which are superbly equipped with the latest technologies. To increase brand awareness in the local community teamed with a very personal and professional service for customers. The goal is to attract new customers to each surgery through monthly promotions and also tips and advice to drive customers to the new website. 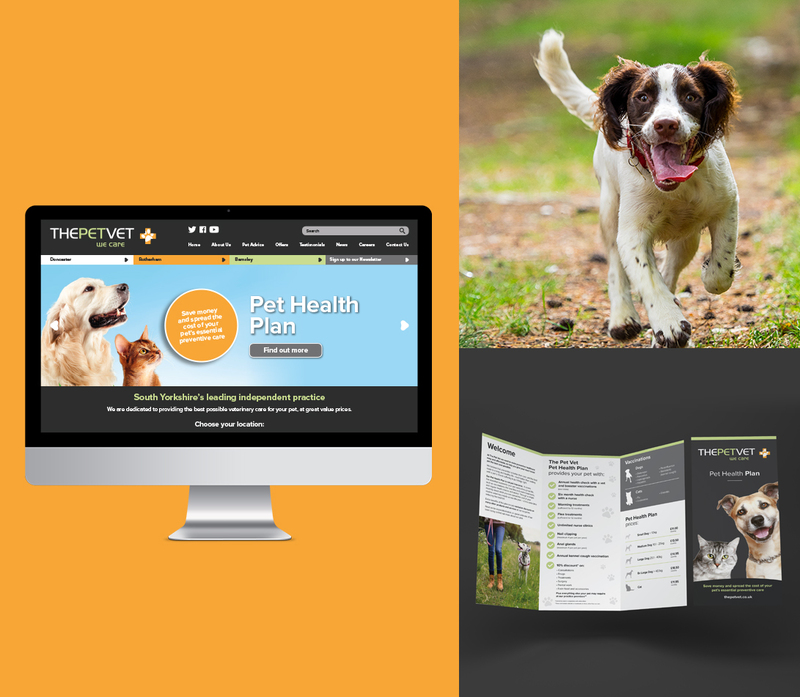 A new website has been designed to improve the user experience as now it gives browsers an opportunity to search for relevant information across the five most common pet groups. This combined with monthly promotions through social media and email marketing it's sure to increase sign ups and footfall to each one of the surgeries.